Despite sustaining a groin injury and being out of competition for 6 weeks at the start of the summer Cian was subsequently selected for 7 Irish team appearances during 2017, including the Gothenburg European Championships. He lined out at Ocala in Florida, where his double clear on Seringat helped Ireland win the Nations Cup (and where he claimed Grand Prix victory on the same horse). This was followed by the Wellington Nations Cup, also in Florida, where once again Cian rode Seringat to a double clear, to help Ireland repeated their Ocala victory with a second win. Returning from his injury lay-off in April, Cian and Callisto rode for Ireland in the Sopot Nations Cup in Poland, and then won the Grand Prix with Good Luck. 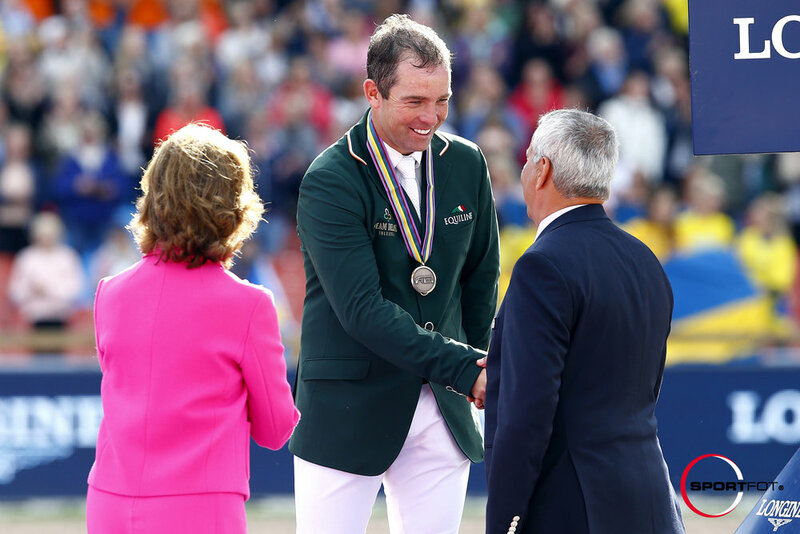 Cian and Good Luck were selected for the Rotterdam Nations Cup, where the Irish team finished fifth, but Cian then went on to claim a second place in the Rotterdam Grand Prix, again riding Good Luck. Rotterdam was followed by Falsterbo in Sweden, where a clear round from Cian and Callisto helped the Irish team finish in third place, while Copain du Perchet gave him a win in the Agria Trophy competition, and a third place in the famous Falsterbo Derby. Cian was selected with Good Luck to represent Ireland at the prestigious Aga Khan trophy competition, and though the combination left all the poles standing with just one time fault on the board, the Irish team finished in sixth place. Before leaving Dublin, however, Cian won the Accumulator and the Speed Championship, both on Copain du Perchet. The European Championships proved immensely successful with Ireland winning Team Gold in a nail biting finish with three combinations needing to jump clear rounds to win. Cian also won Bronze in the individual European Championships, both medals won on the superstar horse Good Luck.